Westfield High School has the opportunity to offer the ACT Plus Writing during the school day. This is a chance for students to be able to take this college entrance exam during the school day in a familiar location. The School Day ACT will be held on Tuesday, March 12 from 8:00 a.m. until approximately 12:30 p.m. This opportunity is available only to the Class of 2020. Why should students consider taking the School Day ACT? The results are accepted at every U.S. college and university. If students take both the SAT and the ACT, most colleges will use whichever score is higher between the two for admission and scholarship purposes. It is in students’ best interest to take both the SAT and the ACT. 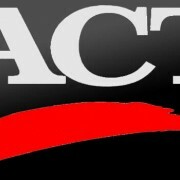 Students get to take the ACT in a familiar environment, rather than taking it at another high school or college campus. The School Day ACT will be held in the Main Gym. The School Day ACT will free up one of your Saturdays for work, spring sports, and other commitments. Participation is limited to the first 220 students who register. In order to register, students should complete the online form at the link below. Payment of $70.00 can be made through PayPal. (Test fee is $67, and there is a $3 online processing fee.) The deadline to register is Thursday, December 20, 2018. Students wishing to pay by cash or check can pick up a paper copy of the registration form in the Counseling Center. *Please note: for any student with a documented disability or impairment who wishes to request accommodations for the School Day ACT, please mark the appropriate box on the registration form. This will allow the School Counseling Center to submit requests on your behalf for special accommodations for the ACT School Day. This does not guarantee approval for accommodations. Students will be notified of ACT’s decisions prior to the School Day ACT. We hope that many of you will take advantage of this School Day ACT. If you have any questions about the program, please see your counselor.